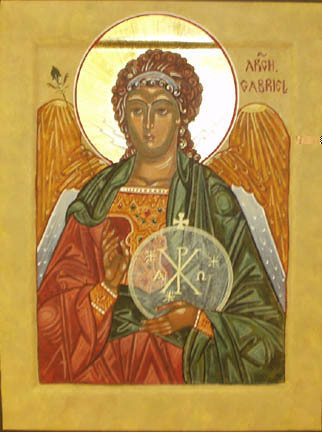 In Christian tradition "Gabriel" and "Raphael" are commonly mentioned with "Michael" among the archangels. 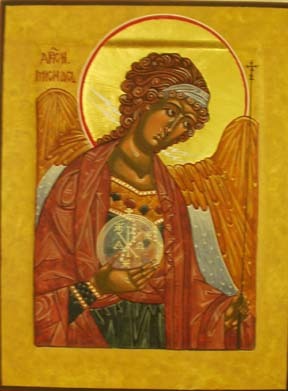 The word archangel is derived from the Greek for 'chief angel'. They are portrayed in icons in formal robes, in imperial dress, as God's Vicegerents (appointed deputies). 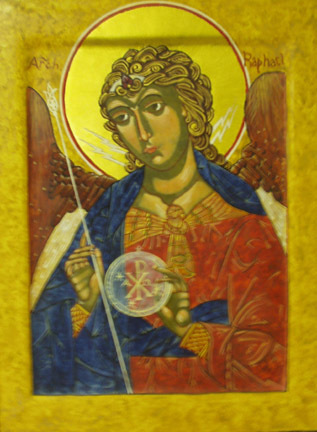 They have wings and classical heads and carry a long thin staff representing their role as standard-bearers of God's army in heaven. They also hold a translucent inscribed orb representing the world surmounted by the cross.